The Sea Grill at Rockefeller Center is the New York insiders' destination for the finest seafood in the city at one of the world’s most iconic landmark locations. 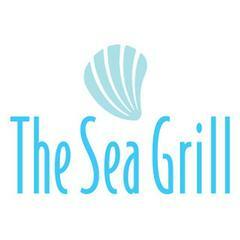 For nearly thirty years, The Sea Grill has thrilled its loyal guests daily with the highest quality, fresh seafood prepared in impeccable style.<br><br><br><br>At the helm of our ship is Executive Chef Yuhi Fujinaga. His experience working in Michelin-starred kitchens around the world brings innovative and memorable techniques to The Sea Grill menu. Chef Fujinaga’s specialties range from American Seafood classics such as our famous Sea Grill Chowder and legendary Jumbo Crab Cakes to modern dishes in harmony with the seasons, like our Summer Lobster Pot, lightly-cured Lomilomi Salmon and Beer-Battered Soft-Shell Crabs.<br><br><br><br>The spacious and elegant interior of The Sea Grill, designed by world-famous restaurant designer Adam Tihany, offers impressive year-round views overlooking The Rink at Rockefeller Center in winter and our lush, flowering Summer Garden in the warmer months.